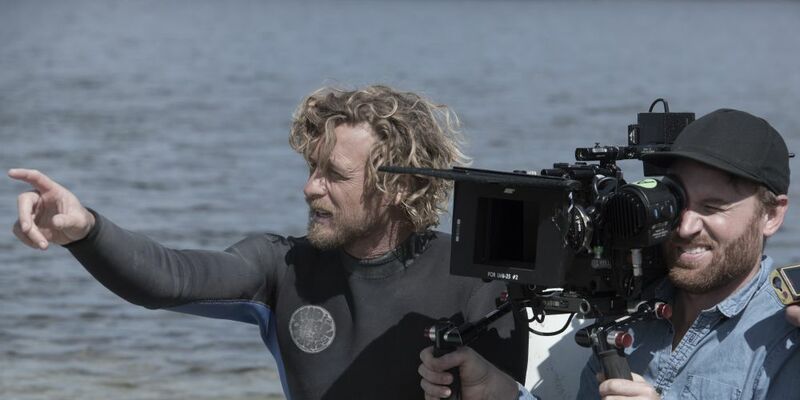 Simon Baker on the set of Breath. A FOUR-day road trip along WA’s South-West coast sounds like a holiday for locals, but for actor/director Simon Baker, it was work. The Aussie heartthrob from The Devil Wears Prada and TV’s The Mentalist was scouting filming locations for his feature film directorial debut Breath, based on Tim Winton’s novel. Breath is a coming of age story set in the 1970s about teenage mates Pikelet (Samson Coulter) and Loonie (Ben Spence), who take up surfing and befriend champion surfer and adventurer Sando (Simon Baker) who mentors them. 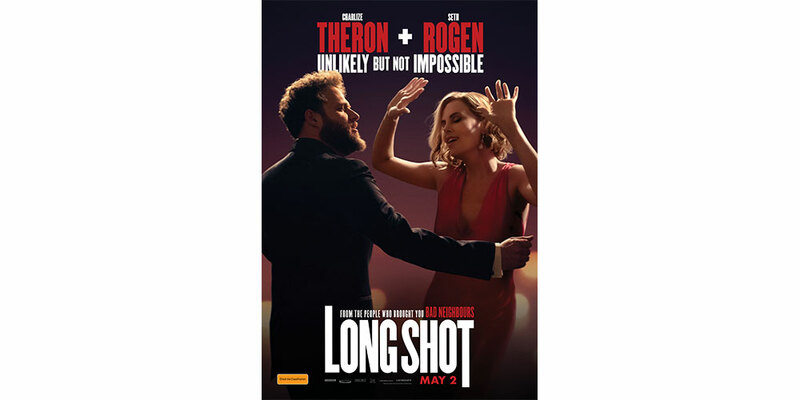 The production, co-funded by Screen Australia, Screenwest and Lotterywest, was filmed in Denmark, supported about 150 jobs throughout the project’s life, and gave a $5.6 million boost to the economy. Baker said he had been to WA before taking on the project, but had not ventured far from the state’s capital. “We scouted along the coast from Albany to Perth in four days,” he said. 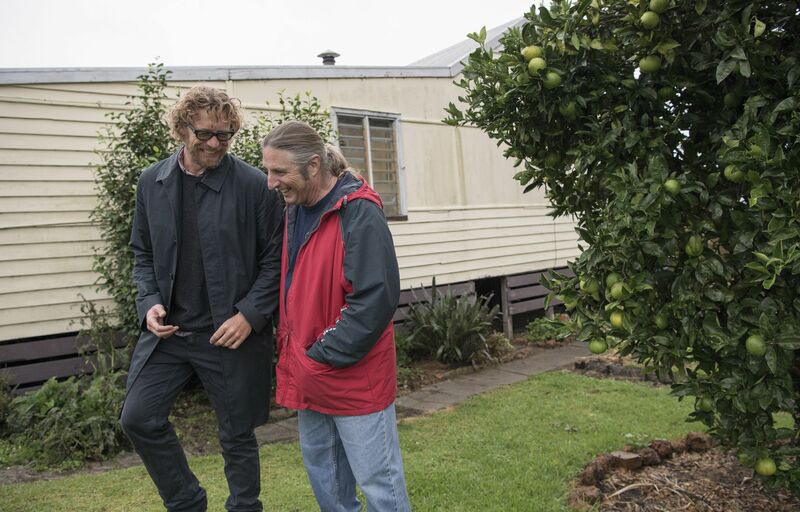 Simon Baker and Tim Winton on the set of Breath. “We hit Denmark about 3.30pm or 4pm on the first afternoon of driving and the layout was so perfect for what I had in my head so we spent the day scooting around. Baker, who is back in WA promoting the film, said he was keen to explore the state’s north and inland areas. Baker got in some directorial practice with five episodes of his hit popular TV show before tackling a big screen project. “The scale is larger (with a film) which is great; I like the detail that you are afforded,” he said. Baker will be at Event Cinemas Innaloo for a sold out Q and A screening of Breath tonight. Breath is in cinemas May 3.